Update: We heard back from the company behind The Gadget Expo, and have added their statement to the show's delay below. We got a little bit excited last year when we discovered that Australia would finally be getting its very own consumer electronics show in June 2015, dubbed the Gadget Expo. But it seems we may have celebrated a little bit prematurely – a message on the Expo's site has announced that the first show has been delayed by 12 months to June 2016. Now, the Gadget Expo will open its doors for the first time at the Melbourne convention and exhibition centre from 24-26 June, 2016. 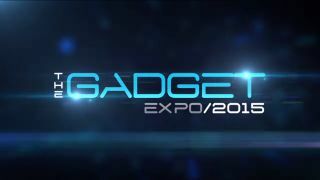 "Due to unexpected timing requirements the highly anticipated launch of The Gadget Expo scheduled for July 2015 will now be held in the Melbourne Convention & Exhibition Centre June 25th & 26th 2016. "Managing Director Mark Hedger announced the postponement of the show, however in the same statement said the 2016 show will compete with International consumer technology shows and place Australia as a leading entity,"
"The 2016 show will showcase Technology & Gadgets that are reshaping our landscape," a statement from AM Wicked Media read. "All tickets for the previously announced July 2015 show dates will be honoured for the new June 2016 dates without the need to exchange."